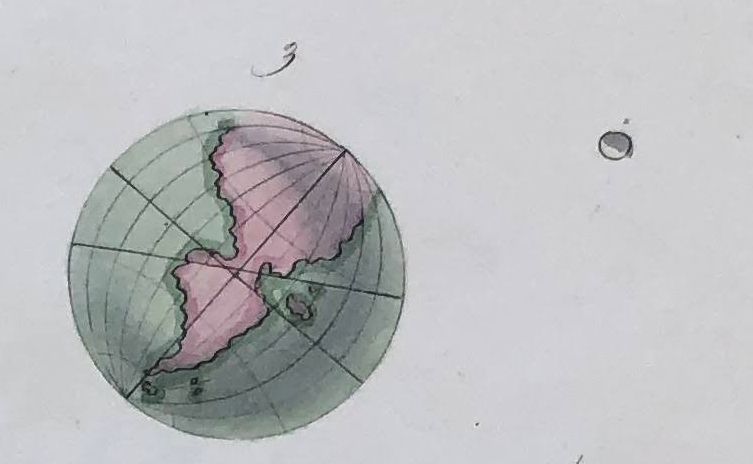 A naïve formula common since 1800 is that maps are “pictures of the world.” This and related expressions manifest the cartographic ideal’s preconception of pictorialness. Commentators before 1800 had used the same formula, as when Samuel Johnson in his famous dictionary (1755) defined a map as “a geographical picture on which lands and seas are delineated according to the longitude and latitude.” But after 1800, this usage of “picture” was recast significantly with rapidly changing conceptions of vision. An early instance of this change appears in a manuscript work, “Four Astronomical Diagrams,” by A. Flint of Keyford Academy, in Frome, Somerset (UK), dated by watermark evidence to the early 1820s. “A. Flint” could be either a boy or a girl. I presume that like most school-produced work, this one was copied from some exemplar, which still needs to be tracked down. But this manuscript makes the point clearer than a monochrome engraving. What struck me is the casualness with which A. Flint — or the original source material — conflated the constructed geographical image of Earth with supposedly mimetic telescopic views of the Sun and planets. The image has no causal significance; it did not influence others. It stands instead as a manifestation of changing sentiment, as one more data point for tracing the origins of the cartographic ideal. I must thank Barry Ruderman, of Barry Lawrence Ruderman Antique Maps, Inc., first for sharing this wonderful work and then for giving me permission to use it here. 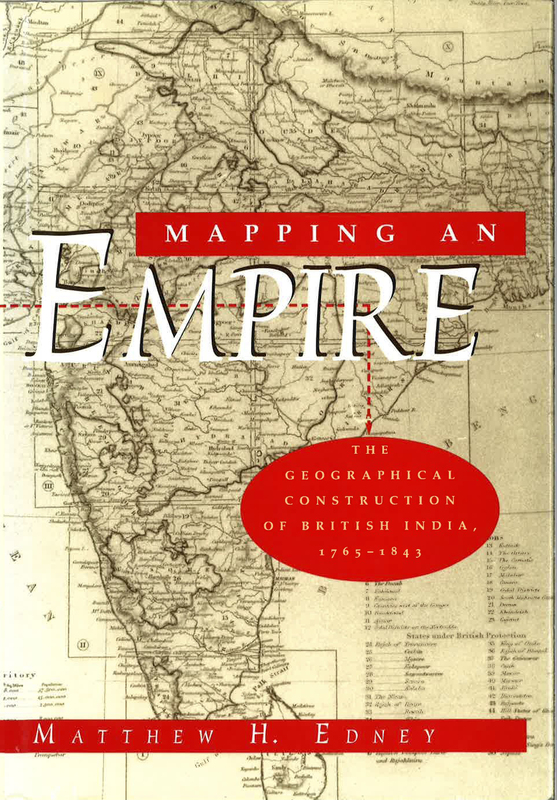 Mapping as Process is a space for me to explore a new approach to understanding mapping and its history. The exploration will eventually contribute to a book of the same name. Available from the University of Chicago Press in paperback ($30), e-book ($10–30), or cloth ($90). 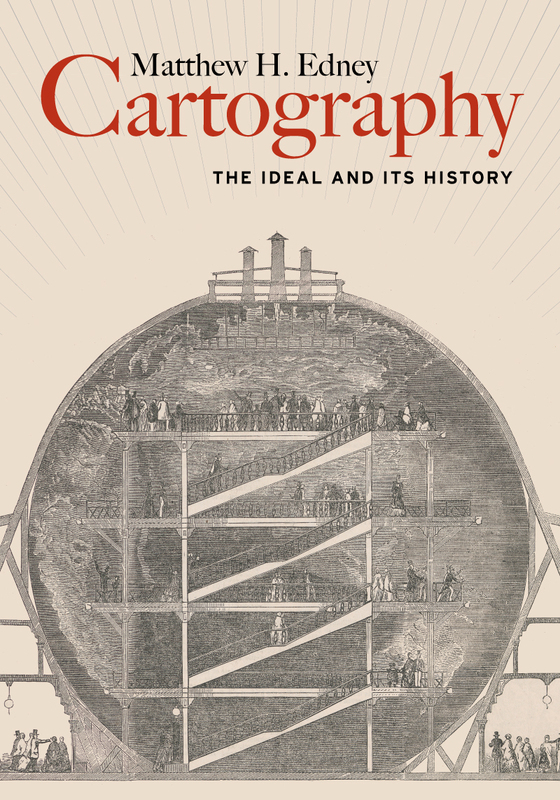 Still some paperback ($38) copies available, as well as ebook, from the University of Chicago Press. For notifications of new content, please “like” Mapping as Process on FaceBook. All images used in accordance with academic “fair use” copyright provisions. All text (c) Matthew H. Edney and is licensed under a Creative Commons Attribution-NonCommercial-NoDerivatives 4.0 International License.